BRAS?LIA (Reuters) – Hong Kong said on Tuesday it has lifted a ban on the import of Brazilian meat, removing one of the last blanket bans by a major importer less than two weeks into a scandal over health standards in the sector. Following the announcement on March 17 of a federal police investigation into alleged bribery of health inspectors in the meat processing industry, Brazil’s government moved to block exports from the 21 plants targeted in the probe. In the following days, several countries went further, blocking all meat imports from Brazil amid concerns that abuses in the meat sector could be more widespread and lead to health risks. However, most of those countries have now lifted their temporary bans following a campaign by Brazil’s government to inform trade partners about standards in the industry, one of the few sectors to have bucked a painful recession in the country. 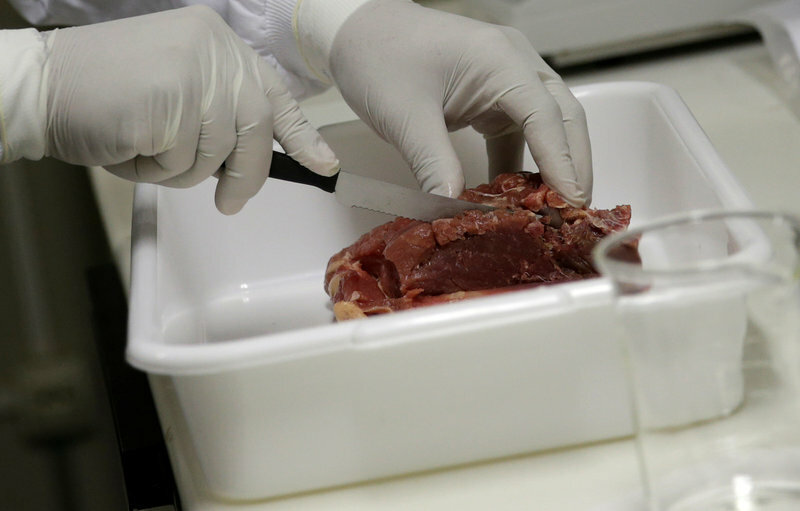 Hong Kong’s Center for Food Safety said it eased the ban on Brazilian meat and poultry imports after it received further information from Brazilian authorities clarifying the case, according to a statement on its website. Together with China, which lifted its ban on Saturday, Hong Kong bought nearly one-third of the $14 billion of meat that Latin America’s largest economy exported last year. Brazil’s Agriculture Minister Blairo Maggi said investigators had not found any products that could harm the health of consumers, but conceded Brazil faced an uphill battle to recover its market share after confidence in its meat was undermined by the scandal. Vytenis Andriukaitis, EU commissioner for health and food, said during a visit to Brazil that he was happy with the clarifications Brazil had been providing. “I expect Brazilian authorities to implement corrective actions to restore the credibility of their official controls as soon as possible,” Andriukaitis told reporters on Tuesday. The Operation “Weak Flesh” probe by federal police badly hit exports from the world’s top beef and poultry exporter. Meat exports fell by around a fifth last week, the trade ministry said. Brazil has ordered the temporary closure of six of the 21 food processing plants under investigation by the police and health authorities. The other 15 plants are not allowed to export, although they may still produce for the domestic market. The European Union has maintained a partial ban on products from the 21 meatpacking plants under investigation. In the United States, pressure is mounting on the federal government to join other nations blocking shipments of raw beef from Brazil. Brazil only gained access to the U.S. market for fresh meat last year, an important seal of approval for other importers.